Portland’s reputation as a liberal bastion and home to a thriving hipster and off-kilter culture is well-earned, but there’s a lot more to the city than just trendy bars and drum circles. In addition to being a trendsetting metropolis and a launching point for exploring the sprawling beauty of the Pacific Northwest, Portland’s communities are diverse and eclectic. If you’re considering a move to the City of Roses, here are some of the best neighborhoods you’ll find. You won’t find a better view of Portland than that offered by Arlington Heights. Perched atop a high hill, Arlington Heights provides quick access to biking, hiking, and walking trails throughout the region, but you won’t be cut off from greater civilization when you invest in a home here. The city’s downtown center can be conveniently reached by foot. Arlington Heights homes are in high demand, so the ticket price on real estate tends to be a little pricier than most of the neighborhoods in town. Whether you’re looking to relocate your spouse and kids to the city or just dreaming of starting your own family, a home in Sellwood Moreland is a sensible investment in the future. Splitting the difference between urban and suburban living, Sellwood Moreland offers a high-quality school system and a top-notch and easy to navigate public transportation system. You get the safety and pricing of a smaller ‘burb while still having direct access to everything the big city has to offer. If you’re the type of person who likes to be seen and craves experiencing the latest restaurant concepts and hottest bars before they reach the mainstream, Pearl District is the place to be. The former warehouse district has undergone extensive renovations in the past few decades and transformed into one of the most desirable neighborhoods for younger Portland residents. Outdoor festivals and popular concerts regularly vie for control of Portland’s attention in the Pearl. Old Town Chinatown is a neighborhood steeped in history. 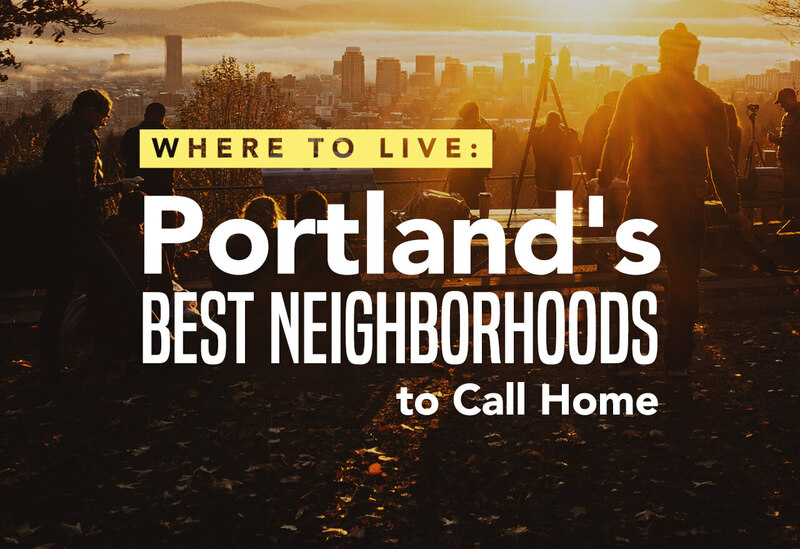 Some of the most well regarded Portland landmarks are situated in this neighborhood and historic apartment buildings and brownstones jockey for control of the real estate market with modern and state of the art developments. Despite being well situated and offering access to most of the city directly, Old Town Chinatown is rather affordably priced. Just keep in mind that public transportation may be the most sensible option for residents since its position in the heart of the city makes this neighborhood a magnet for gridlock. While Portland’s Hollywood may not be as popular as its namesake in Los Angeles, it still has plenty to offer. The historic Hollywood Theater from which the neighborhood earned its name still shows great films with regularity, making this neighborhood a great choice for cinema buffs. But the sedate neighborhood is also highly walkable and provides access to retail, dining, and nightlife options via the arterial road of Sandy Avenue. 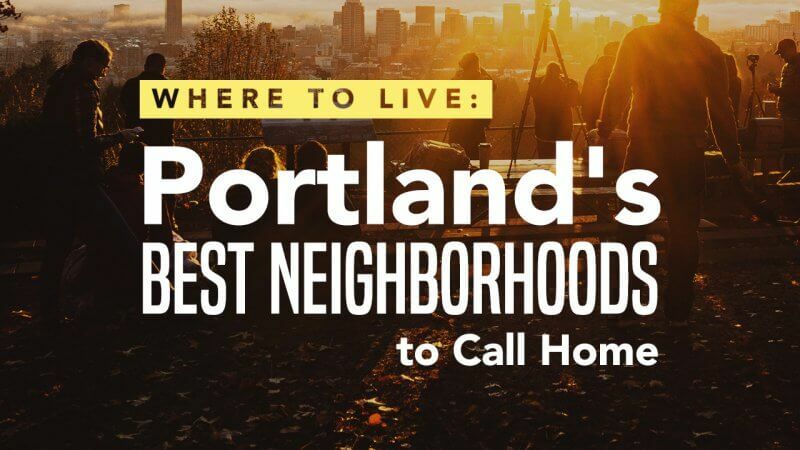 No matter what you’re looking for in a neighborhood, you’re sure to find one that suits you in Portland. Once you’re ready to plan your move, give Cheap Movers Portland a call, so we can help you find the local moving services you need.